Back in the days when Girl Power was sweeping the nation and a sheep called Dolly made headlines the Universal Serial Bus was revolutionising connectivity and paving the way for the fast approaching 21st century. So successful was its revolution that when Apple launched its colourful iMac – remember Bondi Blue? – all legacy ports had been removed in favour of USB, later leading the mainstream PC manufacturers to follow suit and making us all USB converts. Anyone who recalls the array of interfaces we had to work with at the time, SCSI, PS/2, RS-232 and so on, will almost certainly not be looking back with misty-eyed fondness at the spaghetti of cables we had beneath our feet. The USB Implementers Forum responsible for the development of the standard hasn’t been inattentive to the demands of modern consumers and their myriad devices. The USB 3.1 standard has been specifically created to clear the cable clutter from our homes and offices when connecting everything from smart phones, computers and tablets to the burgeoning market for IoT smart devices. Where USB 2.0 offered high speed transfer at 480 Mbps, USB 3.1 delivers transfer rates of up to 10Gbps, that’s an entire HD movie download in around 30 seconds, with the potential in future to top 20Gbps. USB has also been transformed from a limited power supplying interface to a potentially primary provider of power. 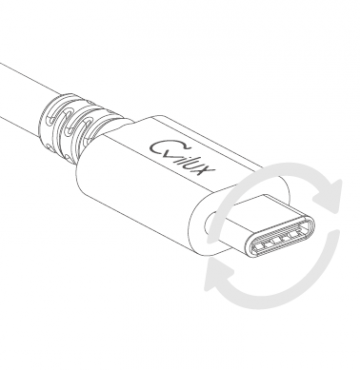 USB3.1 may be the standard but both A and B type connectors along with the new C-Type connector will see new configurations for the home and office. Providing power as well as data transfer in one cable is not considered the only major benefit. Utilising the C-type connector’s reversible structure offers additional convenience to those for whom it has long been an irritation; as with Apple’s Lightning cable, it can be entered either side up. This will of course eventually render many of those spare cables in your desk drawer redundant but it is sufficient recompense to finally be able to say that the “Universal” categorisation of the Serial Bus truly is so. Motherboards featuring USB3.1 Gen1 standard and portable drives featuring the Gen 2 standard are already available and it’s expected that as the Type-C port begins to filter into consumer phones and tablets, there will be a speedy uptake. Talk to us about your USB3.1 connectivity; with our range of cables, we’ve got you covered.